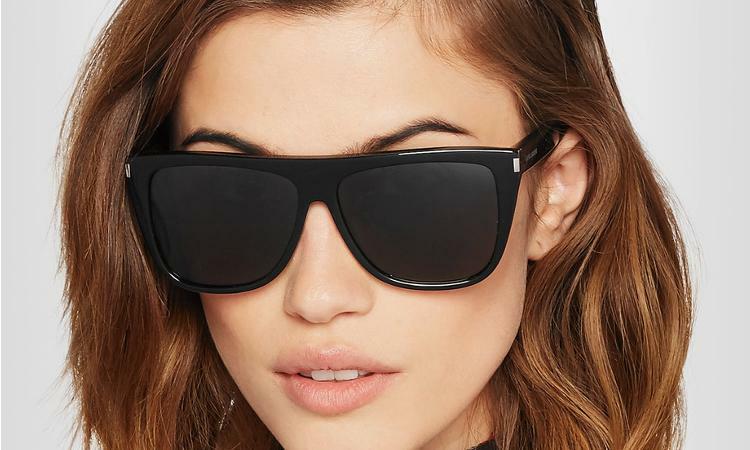 Saint Laurent's effortlessly cool sunglasses have been made in Italy from black acetate in an oversized D-frame silhouette. They're designed with silver hardware and dark lenses that offer UV protection. Store this flattering pair in the leather soft case on overcast days.